Afghanistan native Ehsan Bayat grew up in the capital city of Kabul during the era of Soviet occupation. He returned in the early 2000s and dedicated himself to rebuilding his home nation after many years of armed conflict. Since then, Ehsan Bayat has established himself as a leading telecommunications entrepreneur and humanitarian in Afghanistan. Upon returning to the country in 2002, Mr. Bayat founded the telecommunications company Afghan Wireless, the first wireless communications company in Afghanistan’s history. Offering mobile phone service to consumers and businesses, Afghan Wireless played a critical role in the evolution of the country’s telecommunications infrastructure. Over the past 15 years, Afghan Wireless has grown to include more than 5 million business and consumer clients in all 34 provinces in Afghanistan. One of the largest employers in the country, the company provides jobs for 6,000 employees and supports the employment of another 100,000 people in related industries across Afghanistan. In 2005, Ehsan Bayat began his second telecommunications venture in Afghanistan by founding Ariana Television and Radio Network (ATN), which currently stands as the largest private media channel in the country. ATN programming reaches more than 25 million Afghans, as well as Dari and Pashto speakers in North America, Europe, Asia, and Australia. In addition to entertainment programming, ATN broadcasts children’s shows, international news, and educational content. 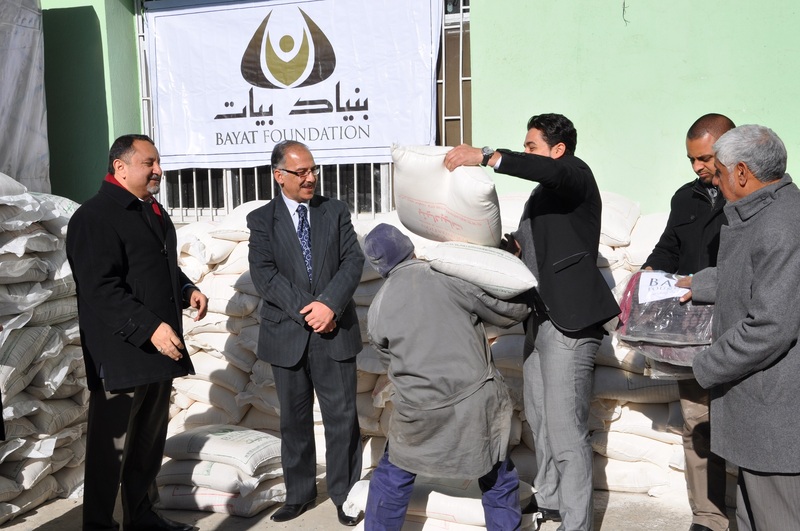 Outside of the business sector, Ehsan Bayat provides humanitarian assistance for vulnerable populations throughout Afghanistan. He founded the Bayat Foundation in 2005, working together with his wife, Fatema Bayat, to improve the quality of life for Afghanistan’s women, children, elderly, and poor. Through the foundation, he oversaw the construction of 13 maternity and early childhood hospitals, which have delivered essential care for over 1.5 million mothers and children. For these efforts, he was awarded the National Human Rights Award from the Afghanistan Human Rights Association in 2006. The award was presented by President Hamid Karzai. 6 of the Best Startups for Foodies in the Middle East - The Middle East is home to a growing number of startups that connect people to the food they love the most. 7 of the Most Impressive STEP 2019 Participants - The 2019 STEP Conference is set to highlight the work of numerous startups from across the Middle East. You Need to Know about These 5 Arab Beauty Startups - Beauty is taking center stage in the Middle East, with several startups leading the charge. 5 Arab Startups You Need to Know About in 2019 - In 2019, everyone should be watching these innovative startups in the Middle East.